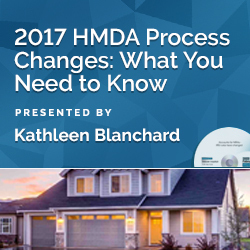 While the revised HMDA rules do not go into effect until January 1, 2018, there are changes for 2017 that will affect your process, even if your financial institution uses vendor software for your HMDA LAR creation and submission. Those changes go into effect January 1, 2017! It is important to understand what is changing and to be prepared! The file format will be a pipe delimited text format, not the space delimited .dat file format that has been in use. This will affect both those with manual processes and those whose vendor does not provide a pipe delimited file extract. The downloadable FFIEC software is being discontinued; it is being replaced by an online process that involves uploading a pipe delimited text file. This online submission will be the only acceptable method to submit a HMDA file. Institutions with manual processes will need to gather data in a spreadsheet. Each HMDA reporting financial institution will have to register to gain access to the new HMDA reporting platform. Edits will be run interactively, with a downloadable report available. There will be no emailing or faxing of edits after the fact! No more beating the deadline and addressing edits after you have filed. The new process includes an online officer certification of the data. The final submission process will have to be pushed back if your institution needs to file at the last minute because of the changes to the edit process. The revised application form (URLA, 1003) can begin to be used as of January 1, 2017 with the expanded race and ethnicity fields, with caveats on reporting this data. Submissions will go to the CFPB, not to the FRB as in the past. Will your financial institution be ready? Will you have a revised process in place to being gathering and testing data? 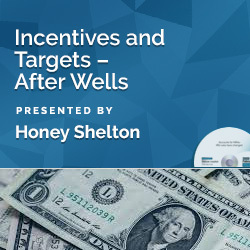 This webinar will walk through the intricacy of these changes and their implications for your process. About the Speaker: Kathleen Blanchard has over 30 years of experience in banking, including many years of commercial lending, credit policy, loan review, and regulatory compliance experience related to commercial, small business, private banking and consumer lending. Kathleen specializes in HMDA and CRA training and consulting and writes about compliance topics at www.kaybeescomplianceinsights.com. 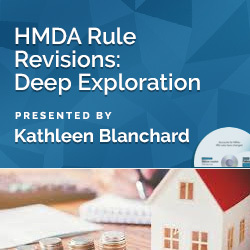 Kathleen is an expert in HMDA reporting and is providing indepth HMDA training and support for the new and current rules through The HMDA Academy. She has developed and improved many lending and regulatory processes and is able to cut through the layers to get to the heart of process needs. Kathleen has been consulting with banks on their regulatory compliance processes, HMDA and CRA reporting, process development and training since 2006. She is a Certified Regulatory Compliance Manager and a BOL Guru for BankersOnline.com. This program was recorded in its entirety in November 2016. The CD-ROM includes program slides, materials (if available) and follow-up Q & A document.